* Manufactured using polished stainless tubing for a durable long lasting finish and 3/8” thick laser cut flanges for a long lasting leak free seal. * No fabrication needed. 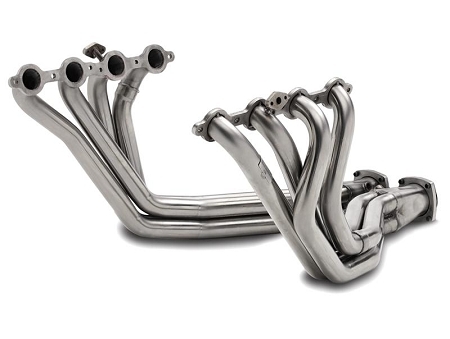 All Dynatech Headers are designed to bolt in place of the factory components for a hassle free installation. A full color instruction manual is also included. * Long lasting trouble free performance. * All bolts, header/donut gaskets and required O2 Extension Cables are included. Header gaskets are *Triple Layer Stainless Steel* for a long lasting O.E. style seal. Pipe Diameter: 1 7/8" & 3" Coll.